Dates/Venues subject to change. Watch for updates! Sat Mar 16 | March Madness – 4 to 8pm – Potluck – Bring your favorite dish! Sun Apr 28 | Spring Run – new ride – We’re looking for a Ride Captain! Sun Aug 4 | 29th Annual Wachusett Run – Our longest running ride! 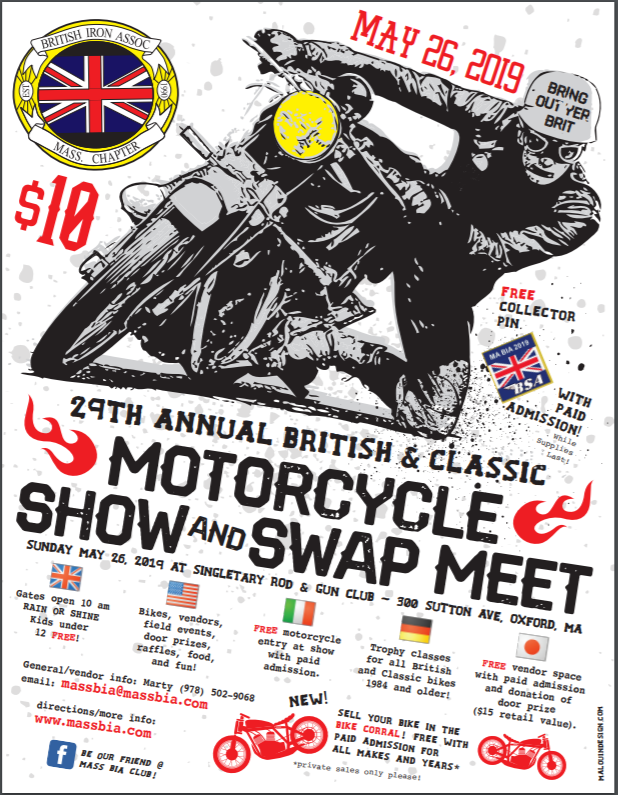 ​ 23-24 – Connecticut Indoor Car, Truck & Motorcycle Show from 10 a.m. to 5 p.m. at the Naugatuck Entertainment Facility in Naugatuck, CT.